Spring is knocking on our door and what better way to welcome in Spring then with Fresh Fruit?! Healthy eating is very popular these days and my kids are my top priority. Since my daughters love fruit, Pittman & Davis is a no brainer. Pittman & Davis sales some of the freshest fruit available online. Each fruit sold is grown in it's prized area. For example; There is only 2 places where Ruby Red Grapefruit can be grown to reach their best quality: The Texas Rio Grande Valley and the Florida Indian River area. Pittman & Davis have packing houses in both areas and the same is with Apples and Pears being grown to their very best in the Northwest. The fruit from Pittman & Davis come in gift basket style and boxes. They have sets for any holiday and sale much more than just fruit. Some of their other products include candy, cheese, flowers, smoked meat and much more. The best part is that they ALWAYS offer Free Shipping to all 50 States!! Click HERE or the photo to see what Pittman & Davis can do for you! From a stay-at-home mom to you... This fruit will put a huge smile on the faces of the whole family. Written by Autumn B. These opinions are of noone but my own and may differ from yours. I was not paid in any way for my words. This post may contain affiliate ads. Learn how to make delicious bread in your own kitchen with Online Classes from Craftsy. Click the banner below to find out how! Click below to find out how you can help get rid of your cancer at home. Special Super Bowl Offer from GoDaddy! Go Daddy is kicking off a limited-time promotion for the Super Bowl!! From now until February 12, you can tackle getting on the Web and save 47% on your order! Click below to take advantage Special Offer!! While checking my email today on yahoo, I ran across some really odd but cute pictures! An Artist named Alfra Martini, has taken reenactment to a whole different level! Using little kittens to recreate famous album covers from all kind of artists! Check em out below! My favorite has to be the Michael Jackson album but the Pink Floyd is very cute aswell! To Read more about the Artist, see the original post here. 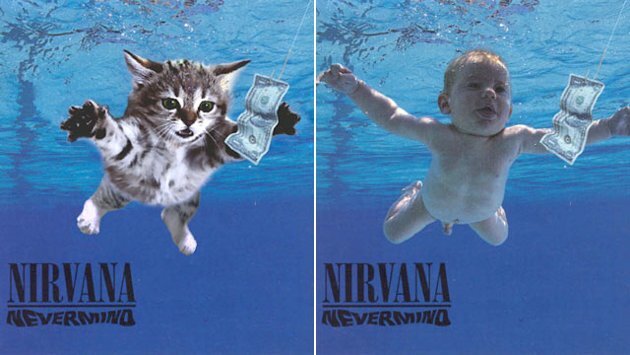 Which kitty album is your favorite? It's time to Create Our Own Fashion! What are you waiting on? Lets Get Started!! 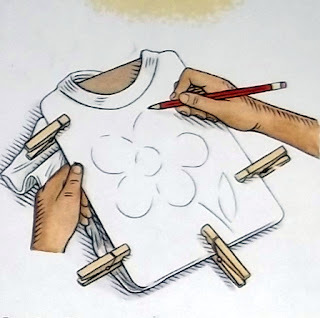 Lets turn a plain T-shirt into your own simple work of art. This would also be a great idea for a project done at a Craft or Art themed Party! You can get plain shirts cheap at thrift stores or even The Dollar Store and the paint recipes below are very cheap! 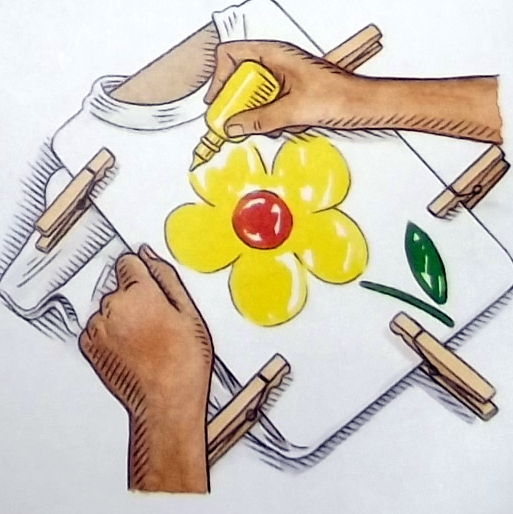 Use the fabric paint to add color to your drawing. You can simply paint over the outline or/and color it in. If you would like, you can make a design instead of a picture. For example, you can use shapes and lines in different colors to make a fun, modern pattern. Found at One Crafty Mumma! Take regular white Elmer's School Glue and put small amounts into bottles. 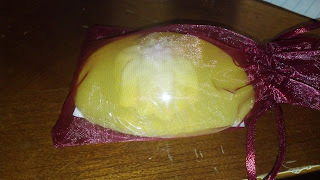 Take different colored Kool-Aid packets and mix the powder with the glue. Make sure the colors are mixed up really good. Paint your design on fabric and let dry. Use up your old crayon scraps! Melt crayon scraps in an empty tuna or soup can over boiling water. I hope you have fun making T-Shirts and all kinds of wonderful crafts with your new paint and painting ideas!! HAVE FUN!!! Get these cute Hug’N Cuddle Bug Figurines from PreciousMoments.com ! Aren't they cute! I fell inlove as soon as I seen them! Precious Moments has always been a favorite of mine. Visit the Fisher-Price Store For Great Deals! 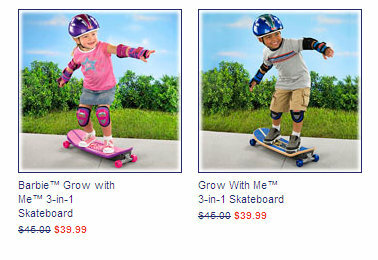 Check out the Deal of the Day at the Fisher-Price Store for hot savings on hot toys! Plus get free shipping on orders of $75 or more. Shop now! 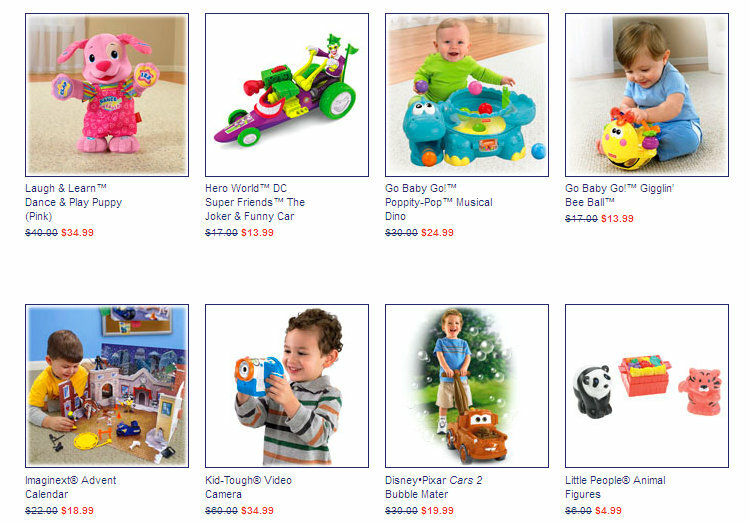 While your there.... Why not check out all the toys Fisher Price has on-sale right now! This review was done by The Momma And Boys! If you have children you know how hard it can be to have them wash their hands. They may forget at times and we all know that's how germs spread. With Bejeweled Bubbles you no longer have to worry about that. Bejeweled Bubbles is great to encourage children to wash their hands as it can have a hidden toy inside it. Although they have toys for children in their soaps they also have soaps with Necklaces, clean cash bars, blessing bars, or even ones for men. Everyone can get excited to wash their hands!! I received the Bejeweled Bubbles with a necklace in it. I loved the little bag that they arrive in. It is the cutest thing ever. 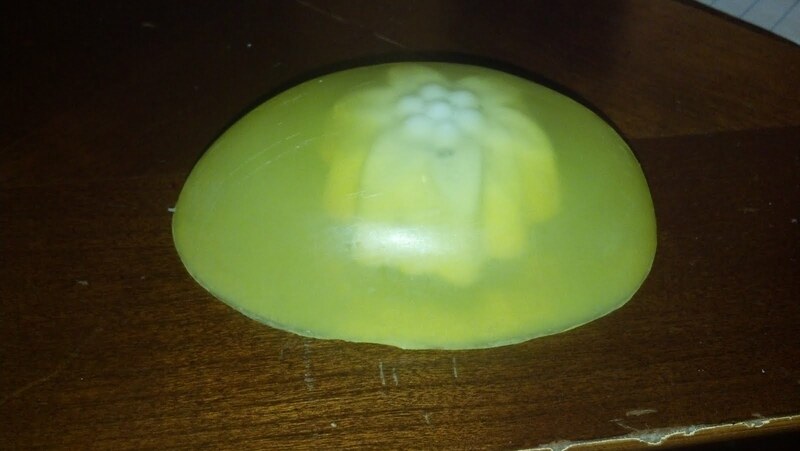 As soon as I received the soap I had to use it. I choose the coconut banana scent and I loved it. Bejeweled Bubbles had tons of other scents to choose from besides the one I choose, so if this scent is not something that interest you, there are more. For some reason I always seem to find the Land-Lords that don't allow us to paint the walls. My daughters are very creative and are like me and don't like Blah White walls. These stickers are the perfect fix that will make my little girls as well as the Land-Lord happy (They remove easily) Read below for a Review of the Sticker Hub Stickers and see how you can enter the Giveaway and Win some for yourself! Being a military family we move about every 3 years so when it comes to painting the walls or anything that is out of the question. 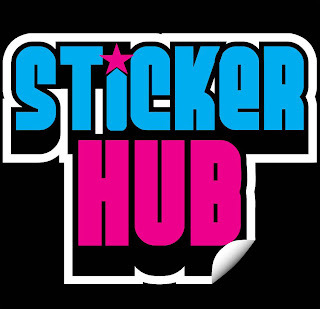 With Sticker Hub you are able to make stickers for your walls to help decorate them. I love this idea because I can make my children's room decorative without having to worry about painting them and then painting them back when it is time to move. My boys are obsessed with the Power Rangers at the moment, so we chose Power Rangers to decorate the walls with. Now when it comes to the sticker, you are going to want to make sure the image you choose fits the size stickers you are receiving. You do not want the pixels in the stickers to not show correctly. Blogger's WANTED!!!!! FREE Blogger Opp! BLOGGERS WANTED! 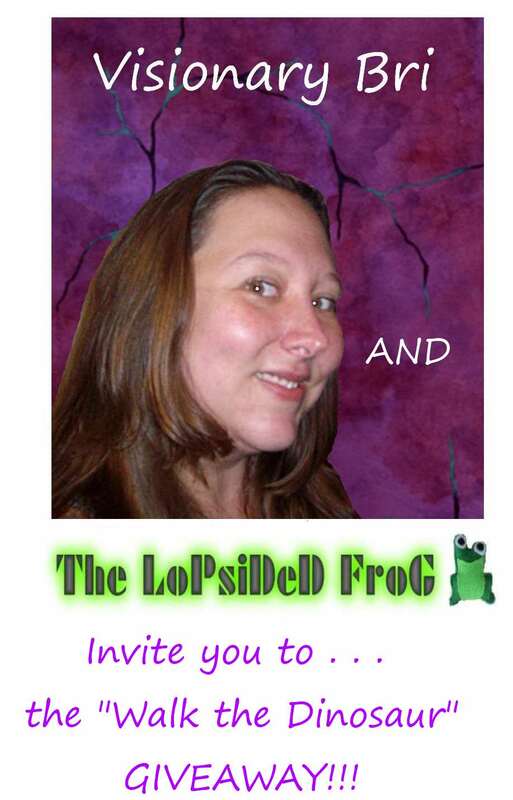 FREE BLOGGER OPP! We here at Visionary Bri have teamed up with the Etsy store, The Lopsided Frog, to bring you this wonderful, whimsical, one-of-a-kind giveaway where every single entrant is a winner! Calling all cool, creative, hip, fun and funky-fresh, crafty bloggers. You're not going to want to miss being a part of this one, so hurry before sign-ups close! Right now, you can join us and offer your readers a really cool prize. A dragon hat! 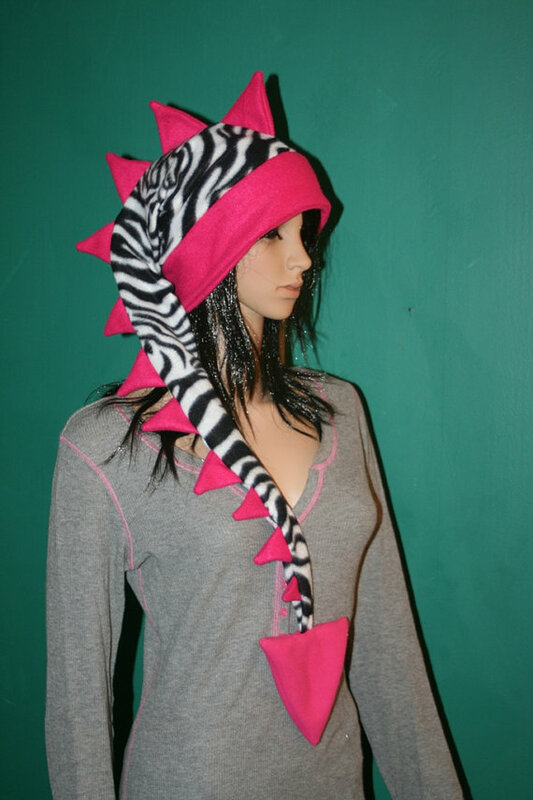 Don't know what a dragon hat is? Here's a picture of a long tailed one and a short tailed one. Aren't the just awesome? And they come in all kinds of colors and patterns. Sally over at The Lopsided Frog on Etsy has graciously offered our readers one item of their choice on her shop! 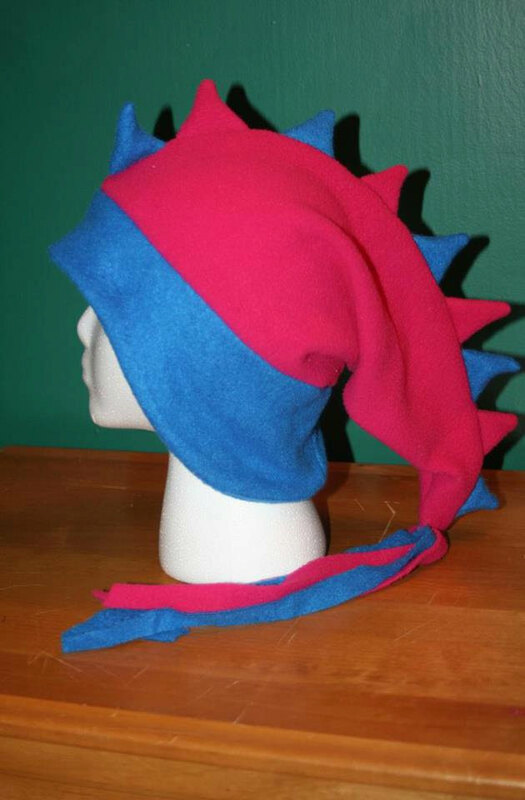 This includes ALL dragon hats. Find her shop here! Not only that, here's the best part. For everyone who enters, they will get a gift code for 30% off anything in the store that they want! That's right. With this giveaway, EVERYONE is a winner. Hosted by Visionary Bri, we are delighted to be able to offer all of our awesome readers this prize. The event will run from Febuary 4th to Febuary 18th. You will have one free link in exchange for posting an announcement. Your choice of Facebook or Twitter. Agree to post the giveaway html at least 24 hours after giveaway begins. Promote this giveaway at least 2 times a week. If you are interested in sponsoring this event or co-hostingt: Your blog is included as co-host in event post, first link free and receive your choice of 2nd Link for $10.00 - Facebook, Pinterest, YouTube, you name it! NOTICE - All Facebook links will be on a rafflecopter form - not dry listed as boxes or links. Restrictions: Giveaway is open to continental US residents, only. Click HERE to see how you can Win a Blacktop 360 Party Hub Grill/Fryer! Free Online Sewing Classes at Craftsy! Have you ever wanted to make something yourself so bad but just end up either buying what you need or getting someone else to do it for you? You don't have to do that anymore! If you want to make your daughter her dream party dress or decorate your best friends wedding cake, or even make the perfect quilt for your new baby... look no more! With Craftsy you can take online classes to learn anything you want to do. Learn at your own pace and in your own time. Craftsy even offers Daily Deals on craft supplies! Make something you will be proud of! Just Click Here or the photos and start learning! Craftsy is now offering Free Online Sewing Classes!! Get Free Stuff with Crowdtap! Enter to Win the Cupcake Prize Pack! Get a Deal of the Day Everyday!!! Publish or Print your own book or eBook TODAY! Valentine Gift Ideas for Your Loved Ones! Sign Language I Love You Heart Valentine! My List of Valentine's Day Books for the Kids! Keep your feet cozy this winter! Blogger's Wanted ~ Cook n' Grow Event!! A Few Good Deals From Target.com! Total Money Makeover Book Giveaway LIVE NOW! Woolzies Dryer Balls Giveaway LIVE NOW! Make Your Own Chip Bag Clip! Valentine's Day Heart Dog Craft for Kids! Get a FREE Quit Smoking Book! Need new crafty idea's to do with your kids? Get a FREE Wall Clock! Get A FREE Cabinet Latch Starter Kit!